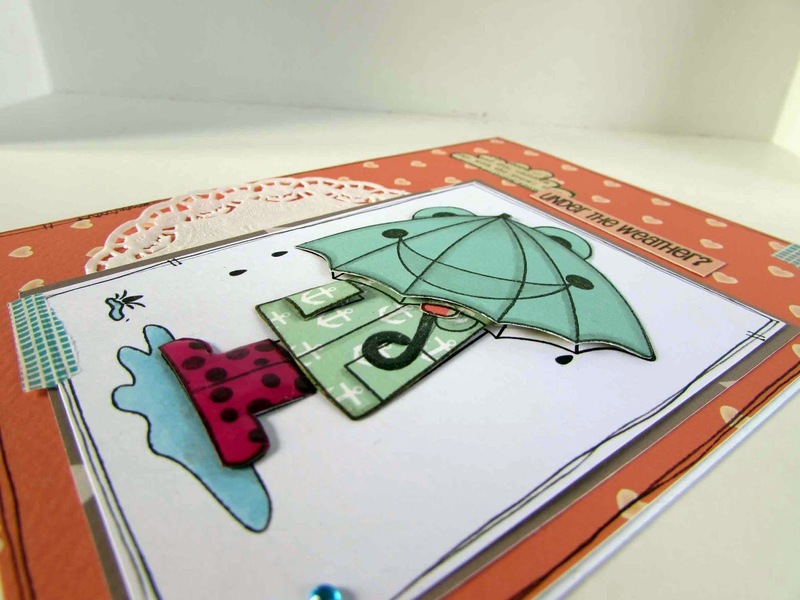 Sarah Hurley 365 (Formerly Sarah Hurley Challenges): Make your cards pop! I'm not a huge fan of 3D layered cards I will admit that but occasionally I will use it just to give an image a little bit of a lift. 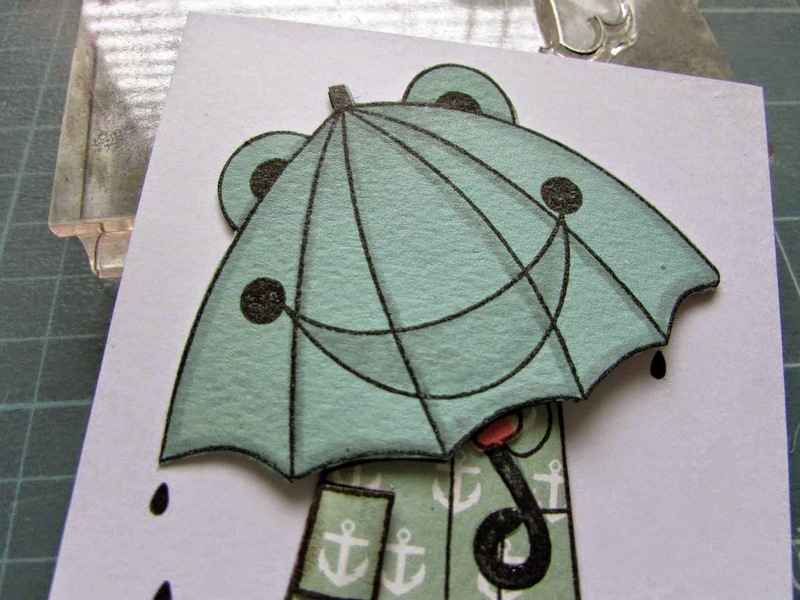 This particular card I made for someone special and I really wanted the image to 'stand out' as it were so I applied a few tricks to help it do just that. 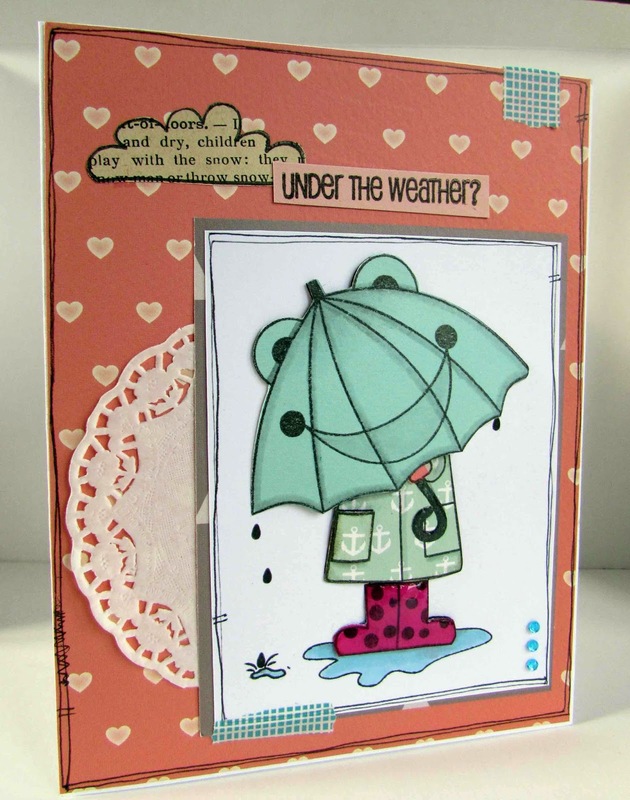 I used my own stamp set "How's the weather" (who had one of those umbrella's?) and layered it up. 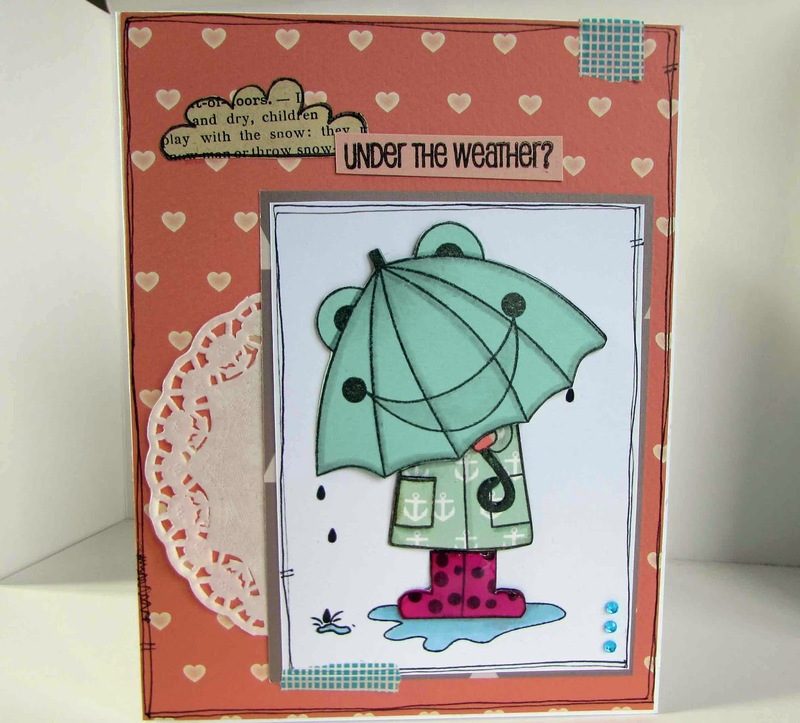 I stamped the image once onto white card then again onto some coloured and patterned card. I think the secret here is to get in as many details as possible so I stamped and cut out a pocket and the gloved hand. They're tiny but worth the trouble. 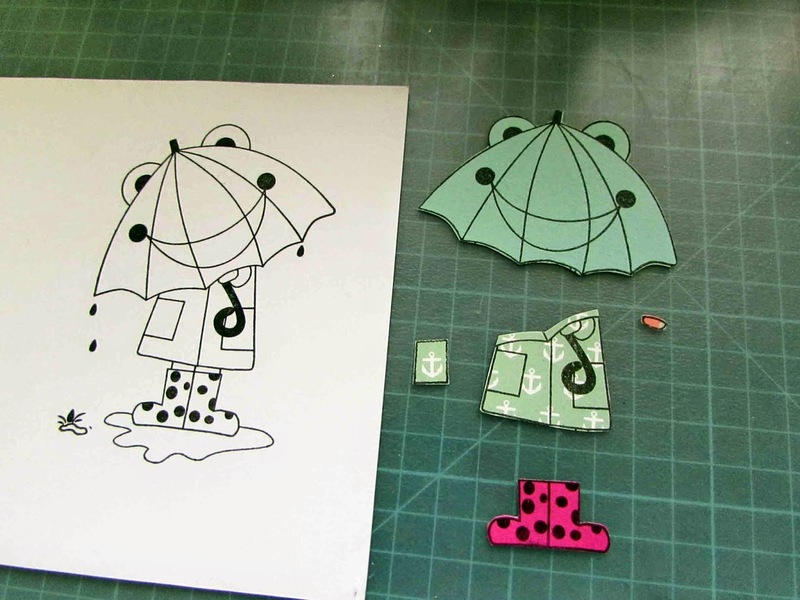 I rolled the pieces around my tube of Pritt glue to get a nice curve on them and coloured in the legs and puddle before layering everything up. I made good use of my grey alcohol marker and coloured in the shadows. I think the grey is my favourite as it's so versatile. Here you can see the dimension once everything was layered together. 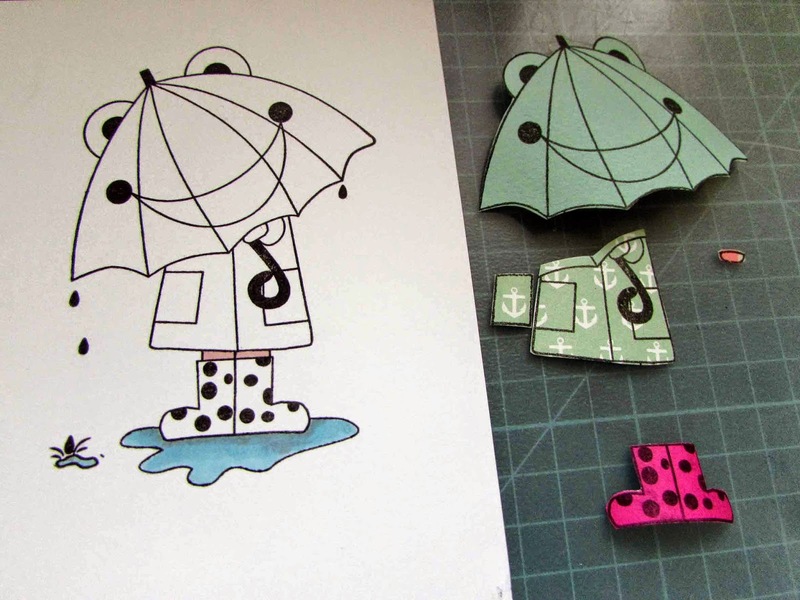 I also added some glossy accents to the wellies and umbrella handle.